When you're dealing with stained glass, you can put glass and a mirror in a quilt! 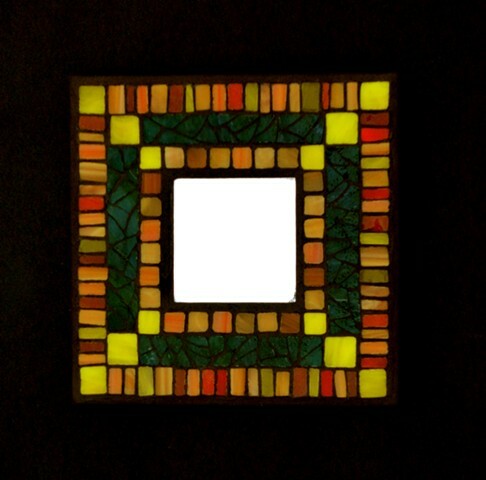 With the spruce green and autumn colours this little mosaic would be a perfect accent in a small space such as over a desk or in a powder room. Sold.